Whether it is GDPR or the ever-growing importance of employer branding and candidate experience management, 2018 will bring many challenges and changes for recruiters. 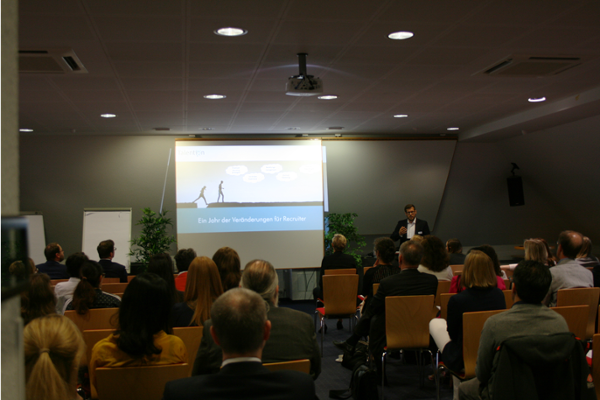 For this reason, TFI GmbH/Talention held a Recruiter Congress on June 19, 2018 on the topics "Candidate Experience and Data Protection: Compliant Data Management". Over 80 recruiters, personnel marketers and employer branding managers attended to listen to the varied and exciting presentations and used the subsequent networking to exchange ideas. After Steffen Braun, one of Talention's founders, welcomed the participants, Katerina Möller, Customer Success Manager at Talention, gave a presentation on "Candidate Experience - The Power of the Applicant", focusing on candidate journeys to show how essential candidate experience management and a strong employer brand are for a company and its recruiting team. 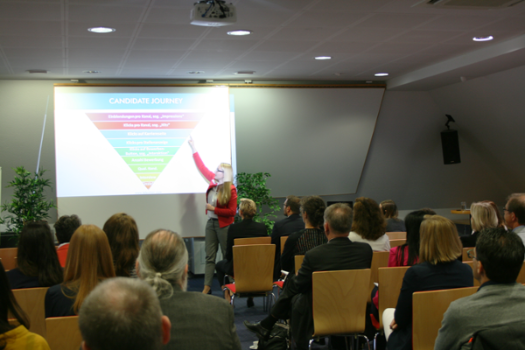 The event was continued with an English presentation by Madeline Mühlnickel, Marketing Manager International at Talention, on the challenges and current trends in recruiting in the USA. In addition to the differences in CVs, social media behaviour or job advertisements between Germany and the USA, the importance of diversity recruiting in the USA in 2018 and how the war for talent is dealt with there were discussed. The event was rounded off with a guest lecture by KPMG Law on "Data Protection: Compliant Handling of Applicant Data". Sebastian Hoegl, senior manager and specialist lawyer for IT law and specialist for data protection law at KPMG Law, gave an overview of GDPR and answered the participants' questions in connection with candidate and employee data. Talention was pleased about the active participation in our Recruiter Congress and about the positive feedback.